Local pros shows us how to tackle your biggest cleaning nightmare. Cleveland weather comes at you fast. One day you’re putting away the patio furniture, the next you’re digging through your garage to find the snow shovel. That’s why a good pre-winter plan is important heading into the cruelest of seasons. 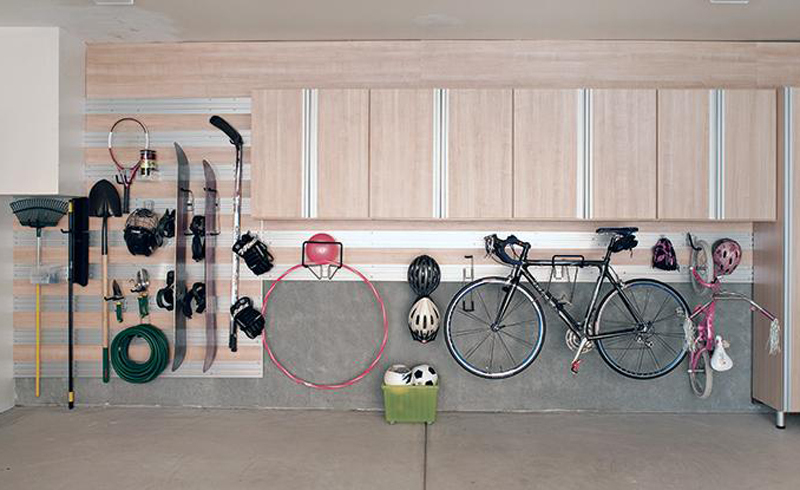 “Having an organized garage in the winter is essential,” says Wendy Clawson, marketing coordinator for California Closets in Cleveland. “No one wants to be out in the cold longer than they have too.” Here are five tips to get your garage winter-ready. Because no one wants to be outside scraping ice and snow each morning, clearing room for your car needs to be priority No. 1. 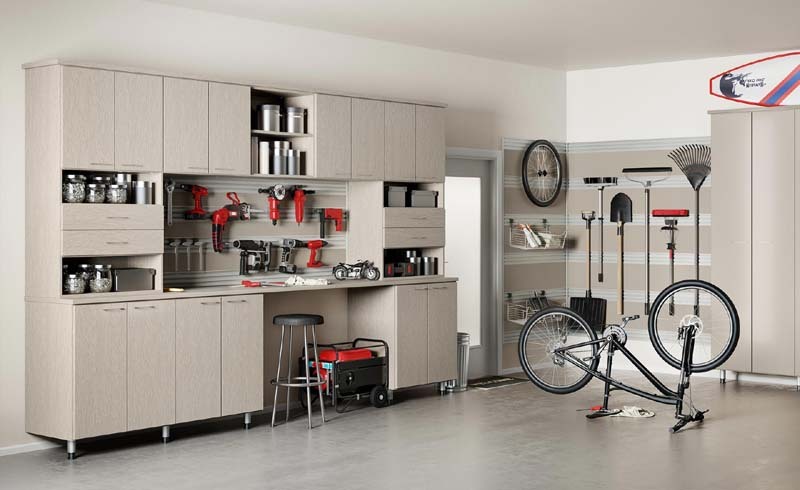 That probably means creating out-of-the-way storage for summer and fall equipment. Hooks and brackets mounted along the wall for bikes, tools and other gear free up needed area on the floor. “Finding space on the ceiling with nets or boxes is a great way to get equipment tucked out of the way,” says Lynn Neilsen, a designer for California Closets. Additional electrical outlets can make your space more convenient and comfortable. “Our power supply grommets are wonderful for getting power to countertops and inside cupboards,” says Neilsen. These pop-up electric sockets can be used for powering a space heater while working on a do-it-yourself project or vacuuming your car on a cold day.